•	below under the image of the serpent — the year of mintage. 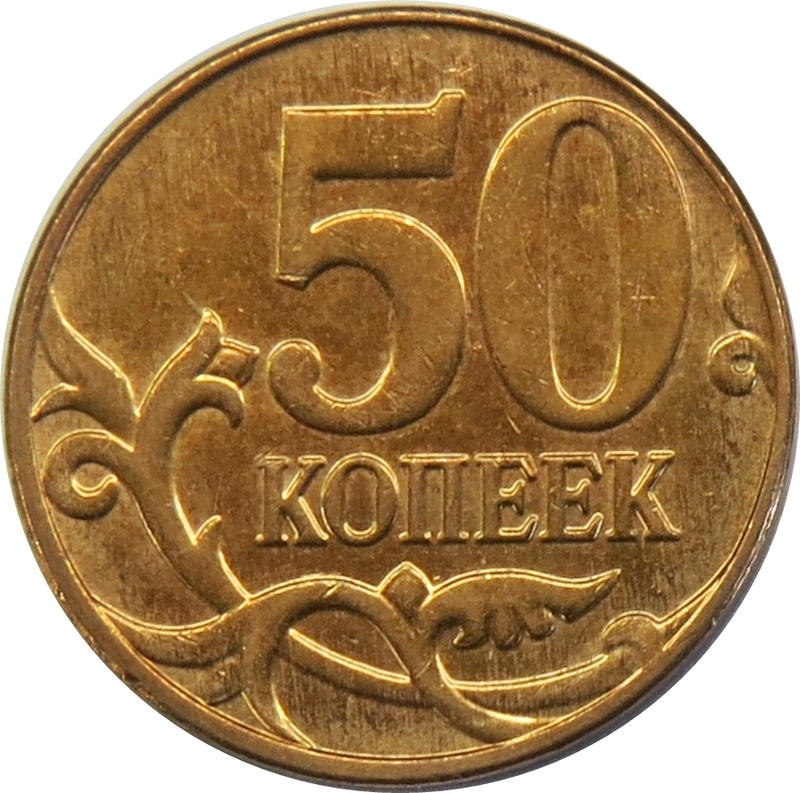 In the center, a little to the right — the denomination of the coin: the figure 50, under it — the word “КОПЕЕК” (KOPECKS) written horizontal; at the bottom of the disc — the stylized vegetable ornament in form of two branches. NOTE: different mintmarks on lower right side. 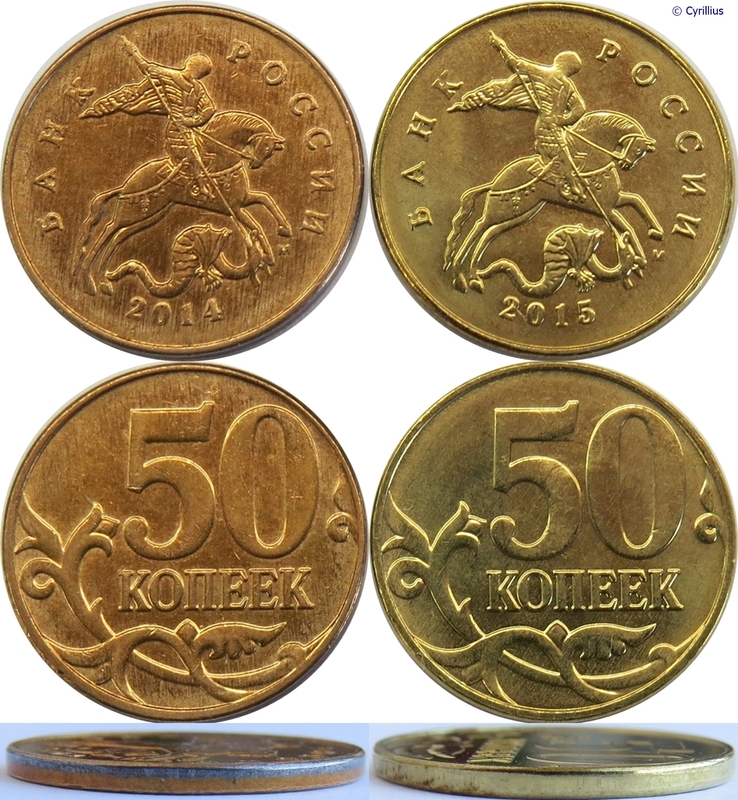 Two types of this coin exists. 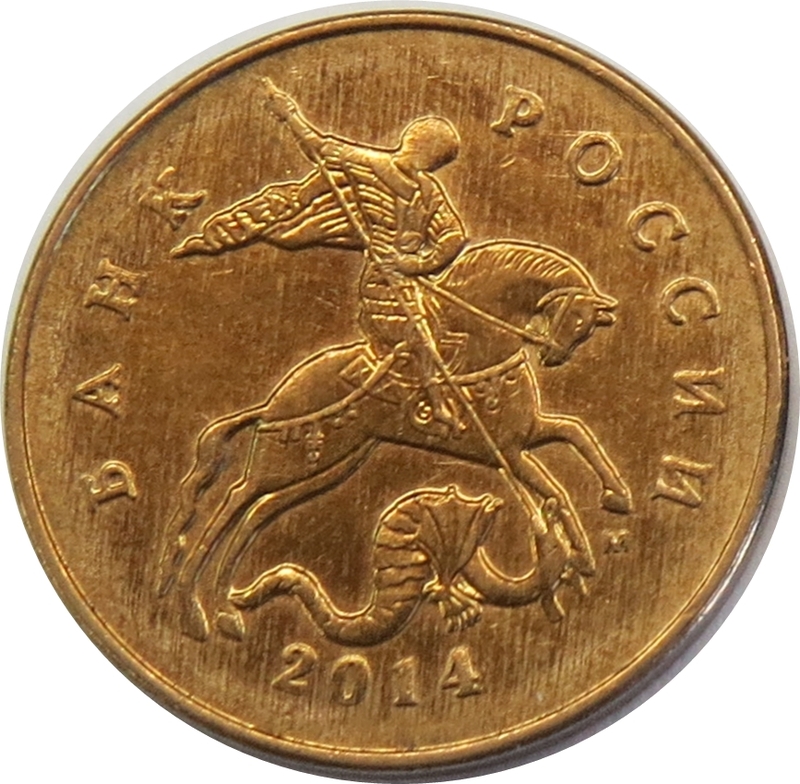 Type 1 (2006—2014): steel base clad with tombac (90% Cu, 10% Zn) on obverse and reverse side. Edge is partially covered, with steel base visible. 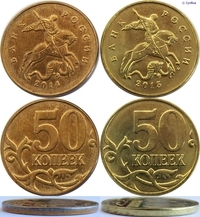 Color of the coin is bronze. Type 2 (2008, 2014—2015): steel base electroplated with brass (75% Cu, 25% Zn). Both sides and edge are fully covered, steel base is not visible. 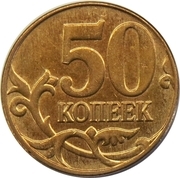 Color of the coin is yellow.